Opera Mini's claim to fame, beside its low footprint, has been its ability to compress data on its servers and serve websites to you faster and with lesser bytes than more traditional browsers. If you're on an unreliable internet connection, in an area with nothing but GPRS or Edge, or with an operator that charges you for your consumed Megabytes as if they were rare diamonds, Opera Mini was and still is essentially your safest bet. The app is getting even better today thanks to the version 11 update. 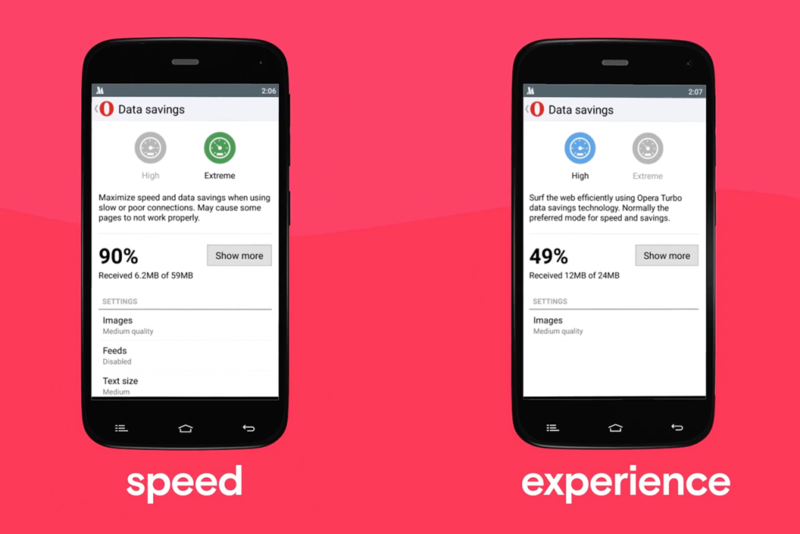 Instead of a single Data Savings mode, there are two. Extreme is what Opera Mini has used before: it significantly compresses websites and images. High is the new addition: it shrinks the size of images and sites, but not as much as the Extreme mode, allowing for a richer and fuller web experience. This should in theory let you use Opera Mini as your primary and secondary browser, even when you have a reliable and unlimited connection. The version 11 update includes a few other improvements and changes that you can read about in the official changelog. - A "High" savings mode has been added that gives you a full web experience. - New full screen tab gallery. - Bookmarks and Saved pages are now fixed entries above the Speed Dial. - Saved Pages are now listed in a full screen list that shows both title and URL. - Various stability and usability improvements. You can grab the update from the widget below, or if it's not live for you yet on the Play Store, head over to APKMirror for the file.